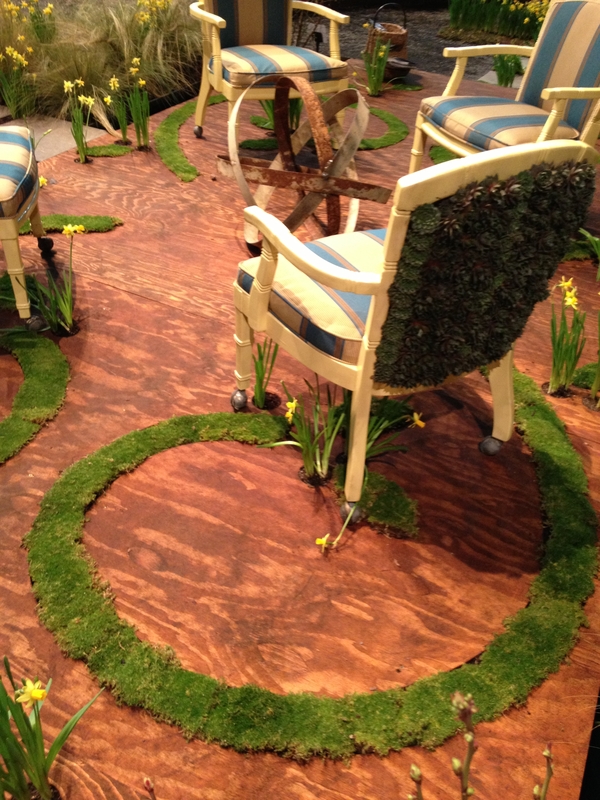 Today I checked out the local Yard, Garden and Patio show. It’s always fun to see what the local creatives are doing for our outdoor spaces. Check out some of these unique creations. Photos were taken with my iPhone so a bit blurry. Have any fun art in your yard? I would love to know -and see a photo if you care to share! This hanging chair is made out of a piece of culvert pipe. It swings! 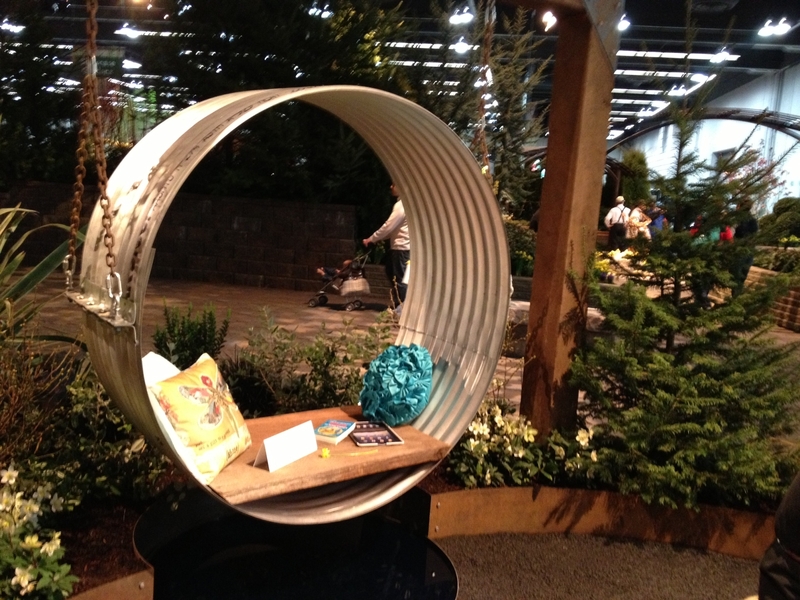 The back of this chair was a wall of sedums – succulent plants. Very fun! 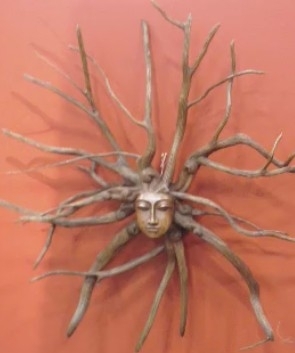 This is one piece of what I think is a root, carved into a face. Each piece of “hair” is also finely carved. It was exquisite up close.